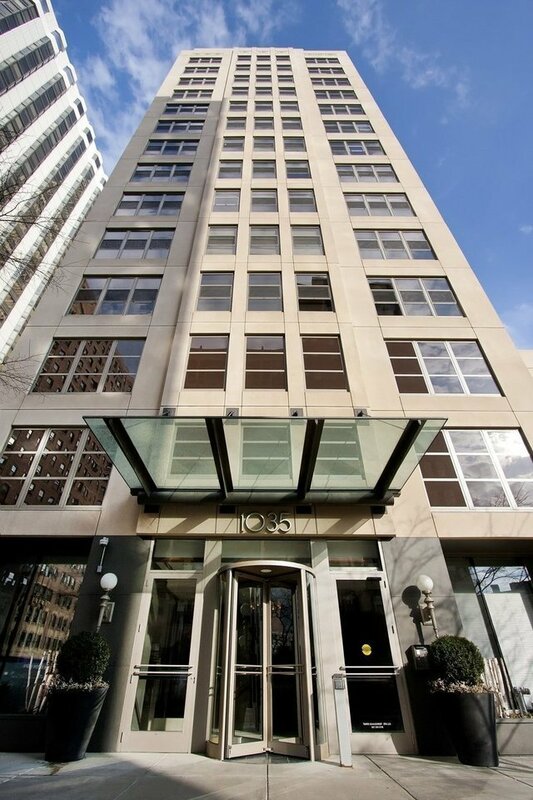 1035 Dearborn, Unit 11W: An Entertainer's dream – this boutique building in ideal Gold Coast location. This home has a large open floorplan perfect for parties and gatherings. The sleek, contemporary kitchen overlooks a spacious living room and dining room. Offering upgrades like Snaidero cabinets, Wolf/Sub Zero appliances, and plenty of storage. The Master and second bedrooms are tucked away for privacy, and the office doors open into the living space. It is an extremely bright unit with exposure to the South and East through 10ft floor-to-ceiling windows. The asking price is $1,299,000.